If you have enabled commitlog backups, you can restore from a particular point-in-time by selecting the Point In Time tab. 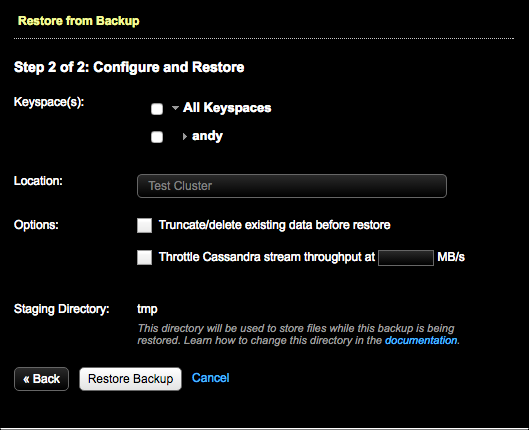 For more details, see Restoring a backup to a specific point-in-time. 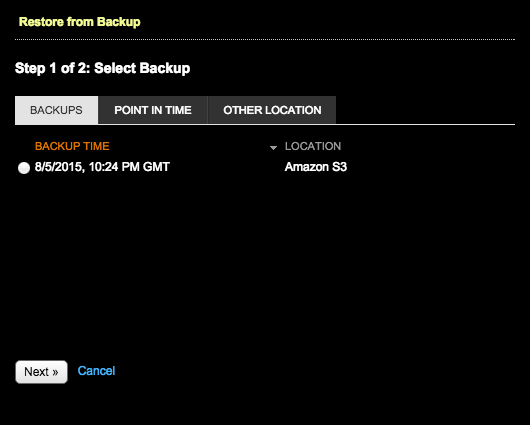 If you are restoring from an S3 location that is not listed in the Backups tab, select Other Location. 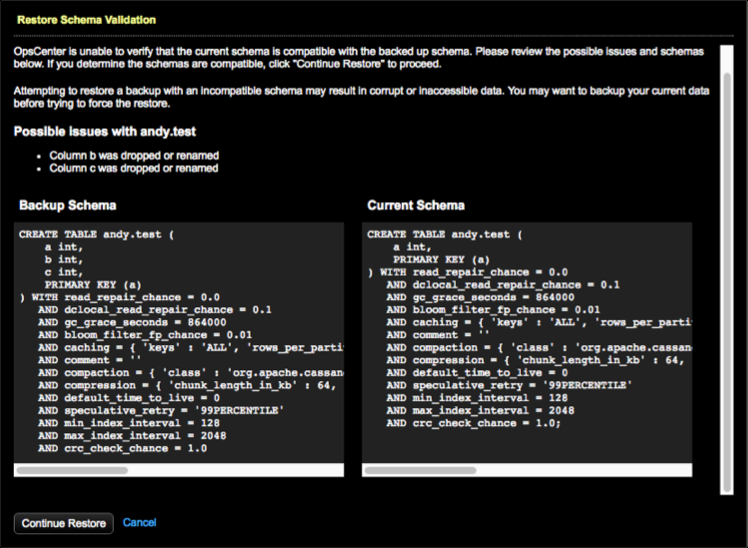 Enter the name of the bucket under S3 Bucket, then the AWS key and secret. 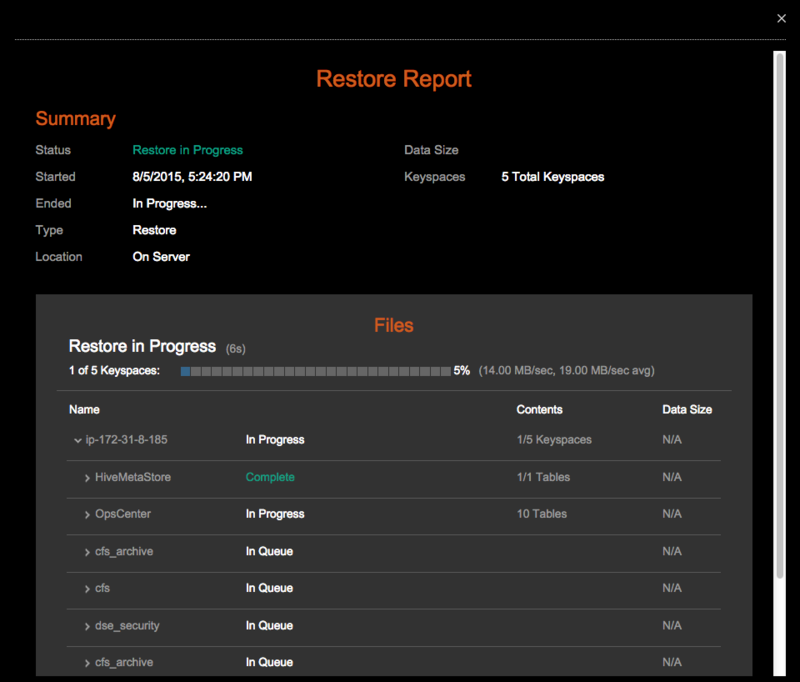 After the restore starts, the Restore Report dialog displays detailed information about the progress and status of the restore. The Restore Report dialog can be closed at any time without impacting the restore process. Reopen the report by clicking on the In Progress restore in the Activity tab. View the Restore Report for any completed restore by clicking on the restore of interest in the Activity tab. Note: If you are restoring (essentially cloning) from an S3 backup and you close the Restore Report dialog, you must reopen the Restore Report from the destination cluster.